SS YEA! 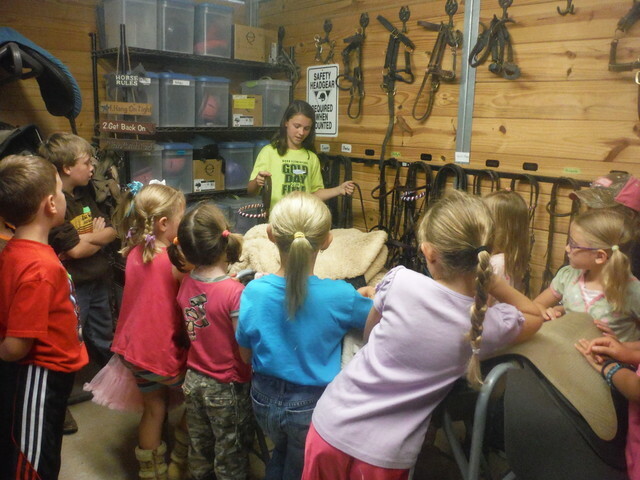 partners this summer with First Anna Church of Anna, Texas, providing a Biblically-based, Equine-Assisted Vacation Bible School (EAVBS) for children. This 5-day, interactive program of fun and learning brings to life inspirational Bible stories and principles applicable to today’s younger generation. Coupling our Bible-centered lessons to our unique, Equine Experiential Education using Equine-Assisted Learning activities provides a one-of-a-kind opportunity for children to learn, acquire, and apply Biblical truths. Some of our own SS YEA! riding students and student alumni participate in a leadership camp running concurrently with EAVBS. These students then work with the SS YEA! staff to facilitate the Equine Experiential Education using Equine-Assisted Learning activities for the VBS children. Prior years’ participants and parents continue to affirm the great value of this unique program and experience.